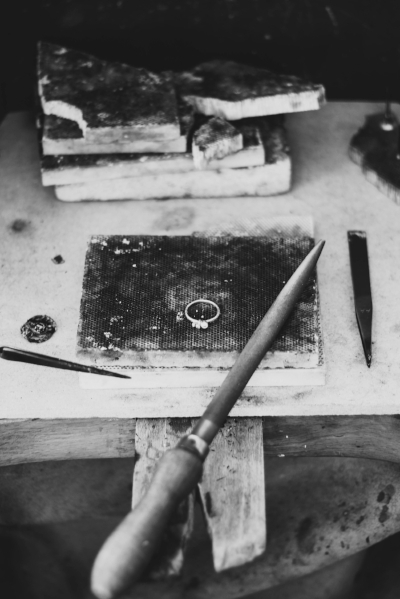 I am looking for a freelancer to work one day a week at my studio in the pretty village of Thornhill where they will be working with me to create my jewellery pieces. The job will predominantly be at the bench but some administrative tasks will be required. The hours will be flexible dependant on what suits us both but will centre around 1 day a week on a Monday 9am-4pm, Thursday 9.30am-3pm or Friday 9.30am-3pm. Would suit someone with their own jewellery practise or in part time employment. Thornhill is in Dumfriesshire and is just over an hours drive south of Glasgow and about an hour and a half from Edinburgh. Public transport is patchy so your own means of transport is essential. If you are traveling from out with the region I can provide a small contribution to your daily travel costs. If you are interested please send your CV and covering letter outlining what you will bring to the role to alison@alisonmacleod.com by 16th April. I'm excited to hear from you.